以前帮别人做都是要自己重新写一套100%合用的CMS. 常常对用动易随便套套模板的人羞与为伍. 改了两次wordpress之后才觉得用wordpress做发布确实比较经济实惠. 呵呵. 想想看T公司的门户网站, 不也就是一买来的CMS而已么. 尽管我也没啥美工天赋, 不过这样可以把更多的精力放在网站的表现层上面, 还是觉得舒坦了不少. 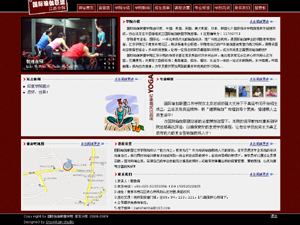 This entry was posted on Thursday, October 9th, 2008 at 9:06 pm	and is filed under 软件网络. You can follow any responses to this entry through the RSS 2.0 feed. You can leave a response, or trackback from your own site.